Indigestion is a very common problem of digestive system. It's important to remember that all of us experience indigestion at one time or another. A good digestion helps in good absorption and efficient supply of nutrients. Nutrients cannot be absorbed effectively when there is indigestion. This leads to lowered immunity and abnormal body function. Low immunity and abnormal body functions pave way for diseases. Ayurveda acharyas always consider indigestion as the root cause for diseases. According to principles of ayurveda indigestion leads to production of a sticky body toxin called ama. This body toxin blocks the small micro channels of body and obstructs the passage of nutrients and waste. Thus the body toxin ama lowers body immunity and the body becomes susceptible to diseases. What is the easiest way to keep indigestion at bay? The text books of ayurvedic pharmacology recommend a formulation, which is a combination of eight herbs, to prevent indigestion. These herbs are easily available on kitchen shelves and can be used to prepare this formulation. Here is the list of these herbs .The ingredient herbs have to be taken in equal quantity by weight to prepare this formulation. Black pepper is being used since ages in almost all systems of medicine. In traditional system of medicine, it is used in treatment of digestive disorders like indigestion and flatulence. Ayurvedic system of medicine recommends black pepper to increase digestion, kindle appetite and reduce flatulence. It is also used in home remedies for common cold. 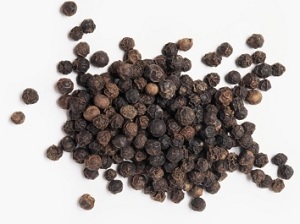 Black pepper acts on heavy sticky substances like kapha and ama the body toxin. Black pepper has body warming properties. Hence Chinese used this spice to treat “cold stomach”. 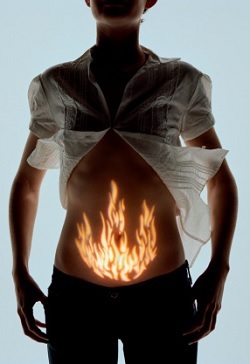 Cold stomach surfaces with the symptoms like abdomen pain, diarrhea, vomiting etc. Herbalists recommend this spice to stimulate digestion, improve blood circulation, and warm the body. Black pepper is used in soups as starters to increase appetite. It is also known as pippali or Piper Longum. This spice is usually used in Indian cuisine. 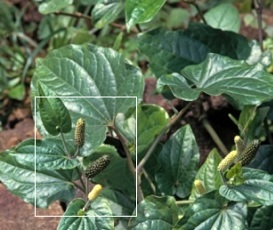 Long pepper is an important ingredient in Ayurvedic and Unani preparartions. It improves digestion, relieves excess intestinal gas and also helps in respiratory problems. Long pepper contains a substance called piperin. Piperine increases thermogenesis and also improves the bioavailability of the nutritive substances. Scientists have found that piperine relieves inflammation, pain, asthma and improves digestion. The traditional medicine system in Mexico uses long pepper to treat stomach ache due to indigestion. Ayurveda vaidyas eulogize Ginger as “vishwabheshaja” or universal remedy. It relieves pain, reduces swelling and helps to stop diarrhea. Its medicinal properties help to expel body toxins. It effectively prevents nausea vomiting, head ache, chest pain, indigestion, flatulence and bloating. It stimulates appetite and eases digestion. 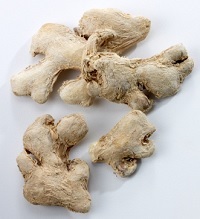 Dry ginger is used in traditional Chinese medicine to treat indigestion, vomiting and nausea. This is known as Jeeraka in ayurveda. Its name has been coined aptly for its carminative properties. 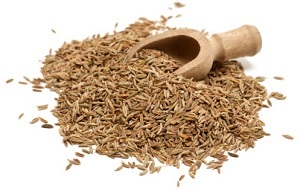 Cumin seeds reduce inflammation, rouse appetite and help in easy digestion of food. It helps to relieve stomach ache and discomfort due to over eating. Texts of ayurveda laud cumin seeds for their galactogogue properties. That is they help to increase the production of breast milk in humans. The botanical name of this spice is Nigella sativa .It is also known as Nigella seeds. In many regions of South India Nigella seeds are used as a home remedy for digestive disorders. It relieves constipation, bloating of the tummy and aids digestion. These seeds have medicinal properties which help in killing intestinal parasites. Like white cumin seeds, black cumin seeds also exhibit galactogogue properties. 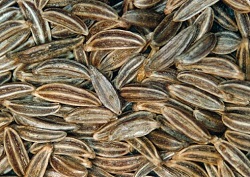 Ajwain seeds are used in India, Afghanistan, Iran and Pakistan. It relieves flatulence, dyspepsia (loss of taste) and stomach cramps which arise due to indigestion. Water boiled with ajwain seeds is a useful cure for nausea and vomiting. Seeds of ajwain help to relieve acidity. This spice is used in preparation of Ayurvedic and Unani medicines. They have antimicrobial properties. 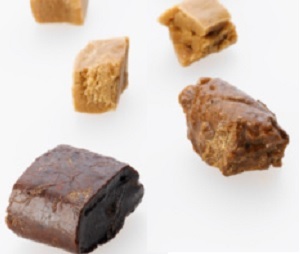 Asafetida is solidified resin of a plant. It is known for its strong smell. Asafitida is bitter to taste and is regularly used in Indian cuisine. Uses of asafetida are multifaceted. It is used to treat indigestion, acidity, bloating and irritable bowel syndrome. In Indian medicine system, it is often used to treat psychological conditions like depression. Various researches have shown that the resin of asafetida has properties of lowering cholesterol and triglycerides. The Sanskrit name of rock salt is “Saindhav lavan” .It is also known as “Halite”, which is a mineral of Sodium chloride. This salt enhances the taste of formulation and also supplies minerals which are required during indigestion. Our body requires salt for its proper functioning. 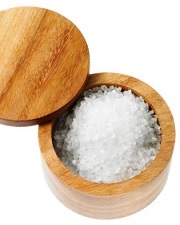 Salt enhances water absorption and helps in movement of nutrients between tissue fluid and cells. Apart from these functions rock salt stabilizes blood pressure and also acts as an anti-oxidant. Mix all the above mentioned ingredients and powder them with the help of a mortar and pestle. Or else it can be coarsely powdered first and then blended to a smooth powder in a blender. The blended mixture should be sieved with the help of a thin cotton cloth to get a fine powder. The coarse powder left on the cloth can be powdered again to get a smooth powder. The fine powder thus obtained has to be stored in an airtight container. This remains unaffected for six months. Add ¼ tea spoon or 2-3 grams of powder and equal quantity of ghee (clarified butter). Mix this well with a small quantity (1/2 table spoon) of hot cooked rice and eat in the beginning of a meal. This formulation eases the digestion, prevents indigestion, flatulence, heaviness of stomach and bloating. Persons who suffer from piles and ulcers of digestive system have to use it under strict medical supervision. Its use in pregnancy is not advised. If you are allergic to any of the ingredients refrain from using this formulation.